Abstract: Regarding a subject common to this blog, there exists an immense problem in assessing what we are being told, by experts of different backgrounds and persuasions, and our choices in what we should believe. Australian top scientist and medical association director, claim that the internet fosters vaccination myths, when in fact what they themselves say about Dr Wakefield and the vaccine – autism link can be shown to be proven myths. Are we seeing ignorance, or bias, or deliberate misinformation to brainwash the public? The ramifications of whichever reasons, are of considerable concern to all Australians. Introduction: Commencing with the experts responsible for the information, the media responsible for publishing, and perhaps the journalists who convey the expert’s information. All surely have some responsibility for providing truthful and relevant information. Many factors affect the end result, which may, or may not, turn out to be factual and unbiased information. “Move to educate on vaccination myths” by Jane Hansen. Health experts have called for a public education campaign to convince parents to immunize their children. Australia’s Chief Scientist, Professor Ian Chubb, said the education program was needed to counter discredited research that is contributing to parents failing to vaccinate their children and is causing the upsurge of deadly diseases like measles. 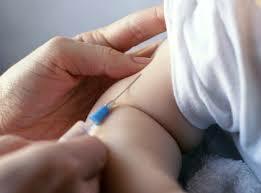 Around 39,000, or 2% of Australian parents are permanently resistant to vaccination. But Prof Chubb wants to target the 100,000, or 6%, who are hesitant about vaccination based on suspected side effects the read about on the internet. “You need to put the facts out there in order to change attitudes, you need a campaign to inform people”, Prof Chubb said. “People my age have stopped smoking because of graphic publicity and education programs”. Prof Chubb pointed to the discredited 1998 Andrew Wakefield (Dr actually, but not mentioned), study that claimed that there was a link between vaccination and autism. Australian Medical Association president Professor Brian Owler also supports the idea of a public information campaign. Prof Owler said he found it frustrating to have the autism link still perpetuated. Comments: Not easy knowing the best place to start. The prime issue is strongly connected to current moves to make mass vaccinations mandatory, generally by penalizing those who refuse. The subject newspaper article stops short of that aspect and aims at convincing the public that vaccinations, (all apparently, and independent of justifiable need), are safe enough and necessary enough to be considered of great importance. Perhaps we should accept the medical advice offered in the article in good faith, as an attempt to make unnecessary the mandatory demands planned by our esteemed government. At this stage the benefit of the doubt should be in their favour. But, perhaps not! Why quibble about this authoritarian demand on the public? For a start, the very fact that it is authoritarian makes it an issue. A worn out and practically meaningless term “un-Australian” comes to mind. Certainly not democratic and certainly not a “fair go” or respecting civil liberties. Then we need to consider the health benefits claimed by the medical Professors which serve to justify mass immunization, then to analyze the potential health hazards from both non-vaccinating and vaccinating. Last but not least, there is the issue of the reliability of information gleaned from the internet, and the attack made by the Professors on the credibility of internet information. There are countless sources of information published on the internet which range from anecdotal to fully qualified professional opinion and evidence. Ranging from unscientific claims of little value, to scientific evidence that seems to be ignored or incorrectly disputed by mainstream, which now brings us to the question of the validity of the information offered us by this newspaper article. “Move to educate on vaccination myths” My question here is, “Who is identifying what is mythical and, is the promotional information itself mythical or factual? “to convince parents to immunize their children.” Obviously an agenda, but one which should distinctly be in the children’s favour, and not questionable in any way. Otherwise, the education needs to be about the pros and cons of vaccinating, with the advantages of vaccinating being shown to be superior and justified. “to counter discredited research that is contributing to parents failing to vaccinate their children and is causing the upsurge of deadly diseases like measles.” What about the possibility that both the claims of “discredited research” and “ failing to vaccinate their children and is causing the upsurge of deadly diseases like measles” are false? What if measles, at least in Australia or any other healthy developed country, is not in any relative way, a “deadly disease”? What if vaccinated children can still catch measles? What if vaccinated people can actually spread measles? If these questions cannot be answered in the negative, then we have evidence of vaccination myths being promoted by the health experts themselves. We will come back to that, but other factors also are important. Apparently the current rate of vaccine objectors is of the order of 10%. Why this should unduly worry the authorities is difficult to understand. It is not significantly far from the minimum for their suggested aim of achieving “herd immunity”, another aspect of vaccinating that is not dispute free. It seems likely that they are concerned about the vaccine objectors growing in number and becoming a more powerful influence. “based on suspected side effects the(sic) read about on the internet.” Here is an interesting statement. It implies that vaccine side-effects are suspected, but not known. It also implies that only the internet provides such ‘unreliable’ information. Well, in reality, side-effects do exist, are listed on the vaccine drug inserts and legally should be made available to all recipients by the person administering the vaccines. Are these side-effects of significance in their severity and frequency? Yes, more of this later but it is most important to know that the adverse reaction incidents are substantially under-reported and mis-diagnosed as well. “You need to put the facts out there in order to change attitudes,” begs the question of the credibility of these ‘facts’. Well, for a start, the facts about side-effects don’t seem to be of interest in this education scheme. (See later). “discredited 1998 Andrew Wakefield” Dr Wakefield actually, a Doctor who was discredited many years ago by an unscrupulous medical industry backed journalist, BUT, who has been exonerated since and the attack on him shown to be staged. Then, the main issue of the autism vaccine link. Not only Dr Wakefield, but other scientists have provided absolute proof of a definite causal link, direct or otherwise, a link appears in vaccine inserts, once “autism”, but nowadays surreptitiously renamed “neurological disorders”. Both Professors are either in ignorance of these facts or conveniently overlooking, or perhaps lying about them! The references below provide ample proof of the claims being made here. So what is a reasonable conclusion? Newspaper readers need to be aware that “what you read in the papers” is not guaranteed to be the truth. In my experience, it rarely is. Medical experts, pharmaceutical companies and governments statements and actions need to be very carefully scrutinized, otherwise you risk a trip “up the garden path”. Of course, I see this all as an extremely serious situation, as a real threat to our public well-being, in fact, the very opposite of what is presented in this paper article. A serious justification for mistrusting authorities and what you read in the newspapers, and of course, view on TV. Details and relevant evidence refuting the medical “experts” idea of “facts for the public”. 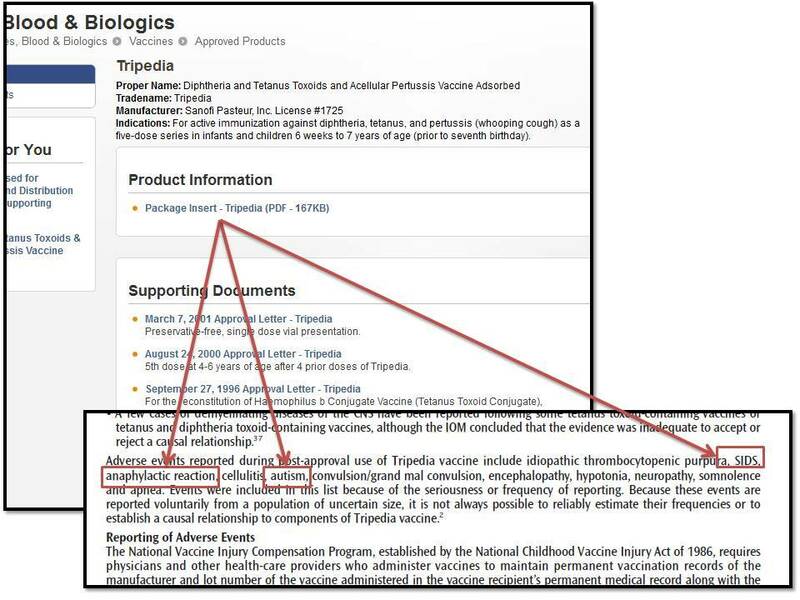 If that is insufficient to support the claim that the official “NO LINK between VACCINES and AUTISM” is absolutely invalid, please look at this! Rubbishing the internet as an unreliable information source appears then, to be highly hypocritical of the Australian “experts”. The question is “Are they expert health promoters and guardians, or expert brain-washers? Why do they choose to ignore relevant facts?, or are they so unprofessional as to not educate themselves first, before influencing the general public in such an important health issue? An issue that contradicts democratic principles and civil liberties. Finally, is there perhaps an underlying agenda that we should be concerned about? References: (Some General, and some which are referred to specifically, a minuscule sample of useful, genuine information, not to be denied legitimacy by agenda-driven people). BMJ admits that fraud claim against Dr. Andrew Wakefield has no basis in fact. Vaccines: an ideal covert op to genetically re-engineer humans (Opinion). This entry was posted in AGENDA 21, AUSTRALIA, drugs & medication, HEALTH, Vaccinations, Vaccine Dangers, World Issues and tagged Australia, Civil Liberties, Mandatory Immunization, Manditory Vaccinations, Public health, Vaccination, Vaccines. Bookmark the permalink. Irrespective of whether vaccines are “safe and effective”, the fundamenal issue is control over your own body. A group of people calling themselves “government” state you must inject “things” into your own body. You have to consent/agree to this procedure. Using force or legal compulsion over your own health is tyranny! Once a small group in society calling themselves “government” have power over your body, you are a SLAVE! The issue becomes literally criminal when it involves dangerous substances. Your bottom line comment is the bottom line of the issue – control over people with a ‘little’ depopulation agenda thrown in for good measure! Additionally look at the individuals in the group called government. Do you trust them? Are they noble, truthful, open, principled persons? Do they have associates or individuals in psycopathic legal entities called corporations that will profit from this procedure? If your answer is YES, YES, NO, then go ahead and take the “thing” called a vaccine. Fantastic piece here. As the parent of an autistic child myself, who took many years to shake free from the many-layered deceptions and misdirections from the medical community on this topic, I must say your presentation of the information and ramifications of the debate is spot on. This issue is possibly one of the most difficult ramparts of societal programming to penetrate through, since it touches on one the most sensitive matters of all, the safety of our children. Well done. As you say, it is extremely difficult to penetrate the barriers of ignorance, prejudice, misinformation, cover-ups and downright lies. Barriers that are propped up by an inept and often corrupt media. The importance of this issue cannot be overstated because it affects the health status of our entire population. It seems that the safety of our children is far from a sensitive matter in the minds of the drug (vaccine) pushers. There are undoubtedly genuine caring people involved in the vaccine manufacturing and distribution, some of whom are unwittingly participating. Some become whistle-blowers, thank God! Others, are caught up in the employment trap. All we can do is to promote factual information on the internet and hope for eventual justice. Reblogged this on THE INTERNET POST. In view of the continued attempt by authorities to mislead the public regarding the safety and necessity of a multitude of vaccines, and the later legislation enforcing vaccinations and denying exemptions, a reblog of a fairly recent post clarifying the difference between facts and propaganda, seems to be appropriate. A lengthy article but it deals with very important issues, most importantly your children’s health.